From the dizzy heights of the 86th floor of New York’s Empire State Building, the yellow cabs below look as tiny as ants – just like in the movies. It is twilight and the extraordinary skyline views are mesmerising. The elevator ride practically teleports me from the hustle and bustle of the streets to the top of the skyscraper and a bird’s eye view of the most powerful city in the world. 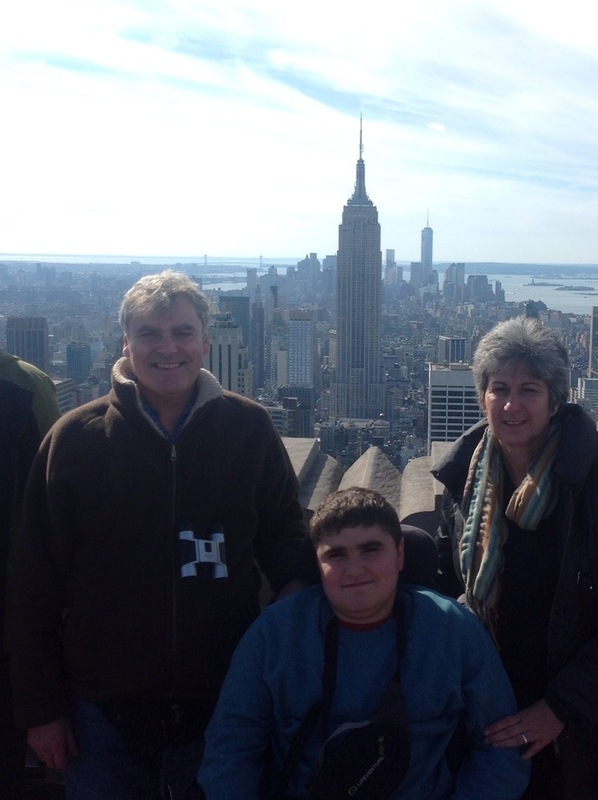 I’m here in the Big Apple for seven days with my mum, Judith and dad, Jamie, thanks to the charity Dreams Come True. First stop is the landmark Statue of Liberty – and what a sight to behold. Belonging to the American National Park scheme, the statue adds to the city’s rich heritage and beauty. A remarkable fact I take away is that no workers died in its construction despite the hard labour involved back in the tail end of the 19th century. On Broadway, I watch Disney’s ‘The Lion King’ at The Minskoff Theatre. The musical fills the theatre with character and colour. I feel I am right in the centre of “The Circle of Life” as actors and actresses in their amazing animal costumes prowl the aisles. New York’s ‘Garden Of Eden’ in Central Park is not commercial or artificial but just one of the most peaceful places – an oasis in the city. It’s not just views of nature, the park’s world famous zoo brings me up close with sea lions performing unbelievable tricks like playing Frisbee. A gastronomic must in the Big Apple is a hamburger, fries and milkshake in a fast-food restaurant. On the first night after our long transatlantic flight we stop at the Shake Shack which offers traditional American food, including ‘a juicy hamburger high in taste and quantity’. My taste buds will savour this moment forever.However it’s the location we are in, in the centre of the palatial Grand Central Station on the corner of Park Avenue and 42nd Street with its classic architecture that makes it extra special. ← Oregon 2014 – Experience of a lifetime!